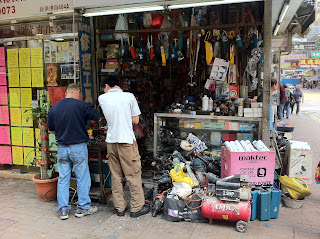 As I have observed before in this phone blog (see "ingredients") most of the world doesn't mind taking the lid off things and fixing them, as was once the case in Europe. 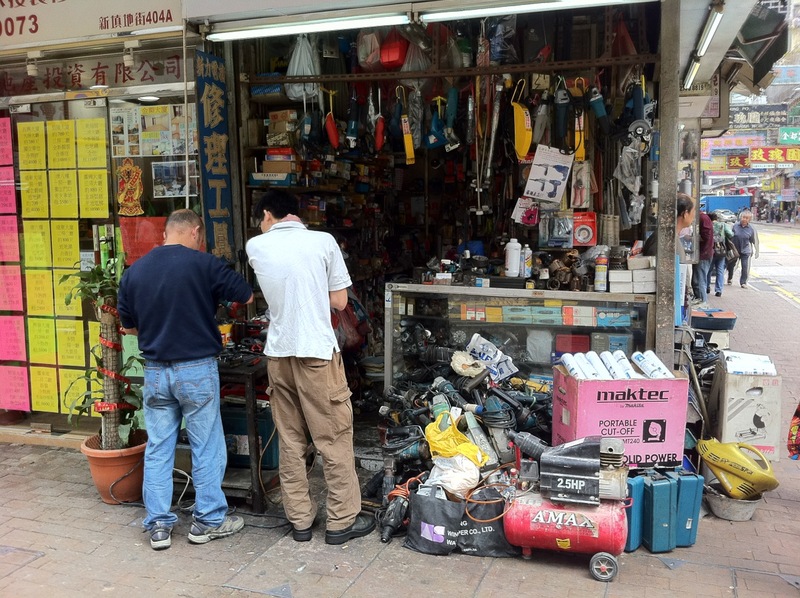 This shop, one of a whole street in Mong Kok (in the Yau Tsim Mong District on Kowloon) is filled with mended electrical goods - drills, compressors, etc. Interestingly, the whole maker culture in the UK has been reborn through a fresh look at ICT resulting (at last! hurrah!!) from a firm nudge by our creative industries (the "Next Gen" Livingstone + Hope report from NESTA) and some strong words from Eric Schmidt of Google - which might result in some "lids off computing" and children who are once again allowed to make and mend with technology.